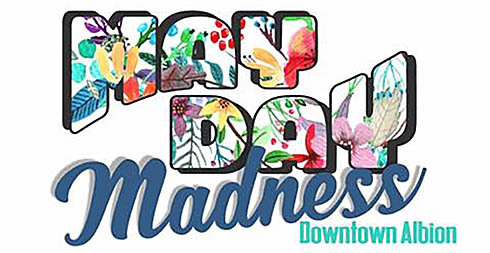 Many Albion businesses will be taking part in “May Day Madness” on Monday, May 1, from 9 a.m. to 7 p.m., offering special sales both on the sidewalk and in their stores. Albion Chamber of Commerce is sponsoring the event, which will also include vendors and home-based businesses on the downtown sidewalks. Courtney Stephan, chamber office manager, reported Monday night that 33 local businesses are signed up to participate. The chamber also discussed the Boone County Shop Hop, to be held July 10-19, 2017. This event is open to all businesses in all Boone County towns. Shoppers who visit the most county businesses will be rewarded with prizes. Other upcoming events include “Back to School Cash” on July 13 at the Downtown Mini-Park; the Nebraska Mobile Children’s Museum visit to Albion on July 18 and 19, and the annual Rhythm & Ribs event in downtown Albion on Saturday, Aug. 26.